Dangerous Remedy is a police drama inspired by the story of Adjunct Associate Professor Jo Wainer, from Monash University’s Eastern Health Clinical School, and her late husband Dr Bertram Wainer, and their first steps on a 40 year journey to make abortion safe and legal. Associate Professor Wainer continues this work today. “I started in 1967 when I was an undergraduate at the University of Melbourne, from there I became the inaugural secretary for the Abortion Law Reform Association, which is how I met Bert,” Associate Professor Wainer said. Associate Professor Wainer was part of a small team that worked for four years to support state MPs and ministers, including Candy Broad, Maxine Morand and Daniel Andrews, to introduce the Act in 2008 that took abortion out of the Crimes Act and left it as a normal medical procedure, with the decision in the hands of the woman and her doctor. Dangerous Remedy is a ‘cops and docs’ drama based on the story of their struggle to expose police corruption in an effort to change the law on abortion and put an end to the illegal backyard operations that were killing young women. The journey took them deeper than they ever imagined, putting their lives at risk in the process as they discovered that the trail of police corruption went all the way to the top, making a lot of powerful people very nervous. Subsequently, Bertram was stabbed and left for dead, his sister’s house was firebombed, Professor Wainer’s brakes were cut, and a colleague of theirs, Lionel Pugh, died under suspicious circumstances. To top off the violence, both Associate Professor Wainer and her husband were shot at. “I learnt to carry a pistol, check for snipers and gelignite in the exhaust of the car, and always drive checking the rear vision mirror,” Associate Professor Wainer said. Neither Associate Professor Wainer nor her husband knew what they were getting into when they started identifying illegal abortion and its risks to women and doctors. “Each step of the way we had to ask ourselves; is this new risk worth it? And each time the answer was; women are dying, if we do not act, who will?” Associate Professor Wainer said. Associate Professor Wainer has published her book Lost: illegal abortion stories with Melbourne University Press. “As an historian, I realised that the experiences of women who lived through the horror of illegal abortion would be lost if they were not recorded, and any community which refuses to know its own history is established on a false foundation,” Associate Professor Wainer said. 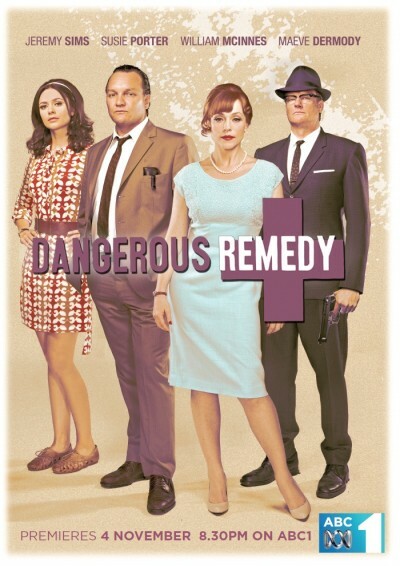 Dangerous Remedy will premier on ABC1 at 8.30pm on Sunday, 4 November 2012.